MQTT protocol is a message based protocol, extremely light-weight and for this reason, it is adopted in IoT ecosystem. Almost all IoT platforms support MQTT protocol to send and receive data from mobile applications and sensors. 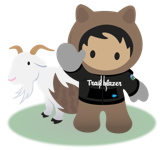 Salesforce Voice Assistant to search the Keywords Like Record Names,Objects,Fields Pagelayouts,Documents,Tabs,Community,Console...e.t.c within the salesforce organization and Display in UI based on keywords.